Up to 25 new jobs will be created with the opening of a new steakhouse in Telford. Miller & Carter will launch in the former Harvester unit at Southwater following an extensive refurbishment, which will begin on August 13. The unit, which will reopen on September 21, are looking for new team members to work both in the kitchen and front of house. There will also be a call for budding bartenders to join the team. Christian Fox, regional business manager at Miller & Carter Telford, said: "Bringing a new Miller & Carter to Telford is a fantastic opportunity for the brand. "We’re looking to attract applicants with enthusiasm to join the team and become official steak geeks. To apply for a role at Miller & Carter Telford, contact general manager Tracey Kirlew on 07731191534. 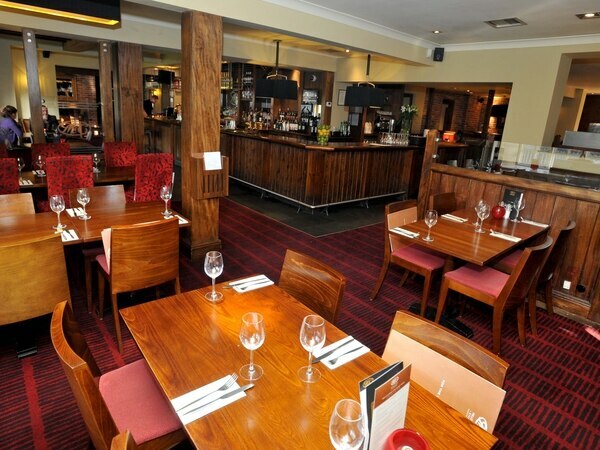 Both Harvester and Miller & Carter are owned by the same parent company – Birmingham-based Mitchells and Butlers. The company runs 1,784 pubs, bars and restaurants across the UK and also owns the Toby Carvery and Browns Restaurants brands. The new Miller & Carter is the first in the Shropshire area. Fans of the restaurant have had to travel to the Stourbridge Road shop in Wolverhampton, or to Birmingham. Their menu focusses on steaks, all of which are aged for at least 30 days, but also offers burgers, fish and vegetarian options. A new Mexican restaurant, Cocina, is expected to move into the area later this year. El Mexicana has more than 20 restaurants across the country and, including the Telford store, will be adding five new units across the country this year. This year Southwater’s new public space was unveiled, including a water fountain and new square. The £250 million Southwater development is a public/private partnership intended to provide a night-time economy outside Telford Shopping Centre. It features a range of restaurants, bars and other leisure facilities. The second phase of development included public art features and a new 68-room Travelodge hotel. More than 600 people took part in a consultation shaping plans for the area.